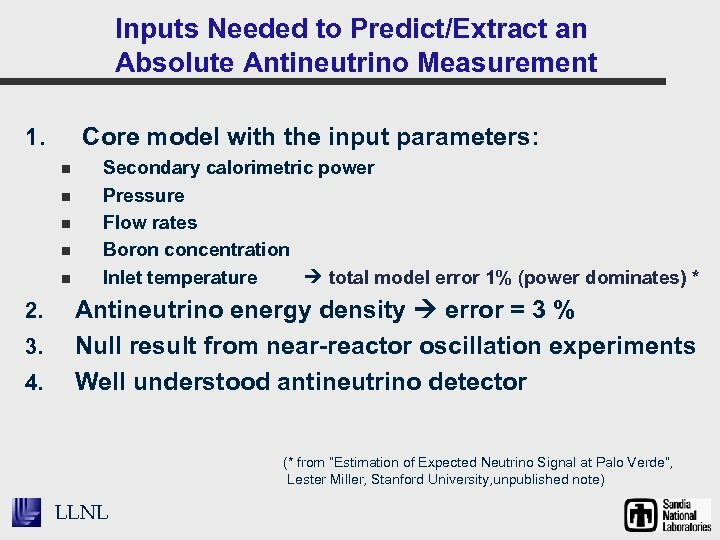 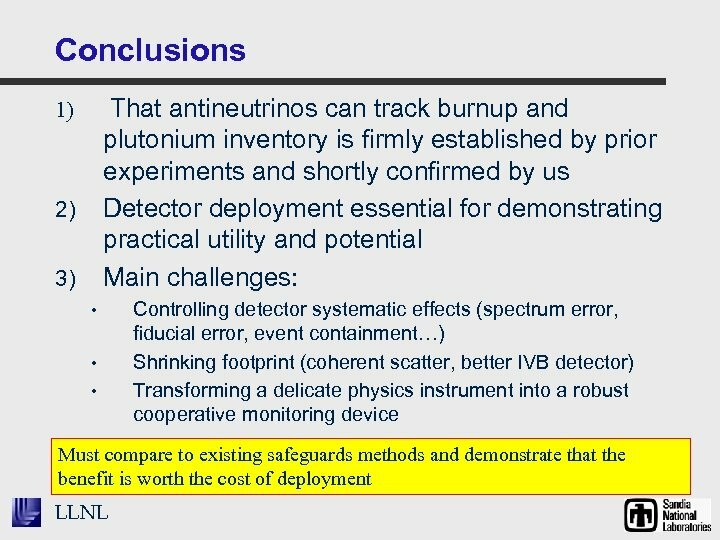 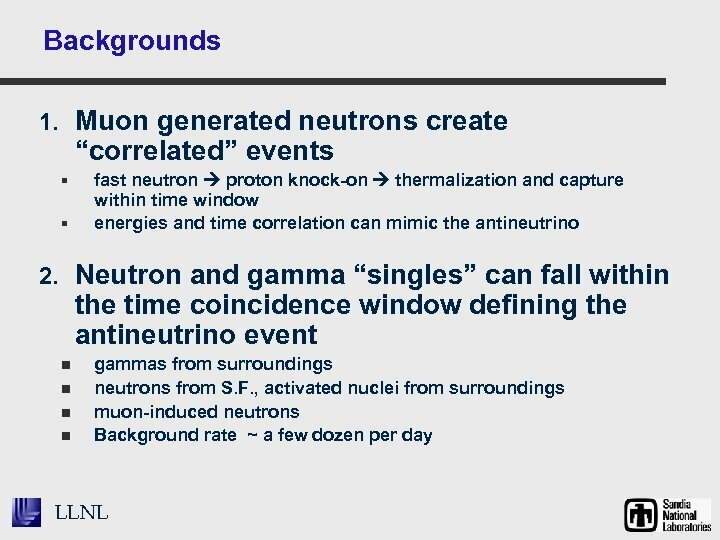 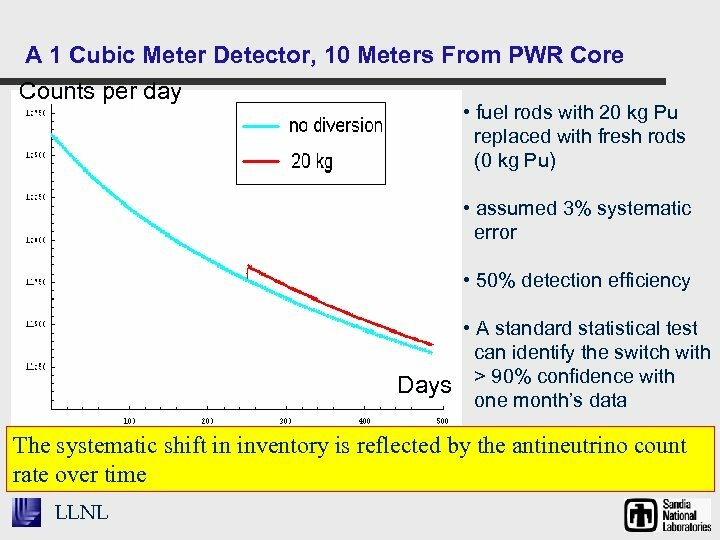 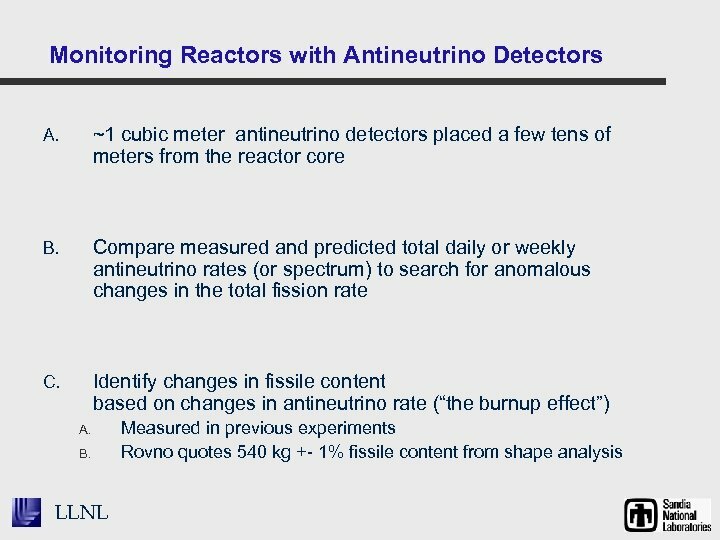 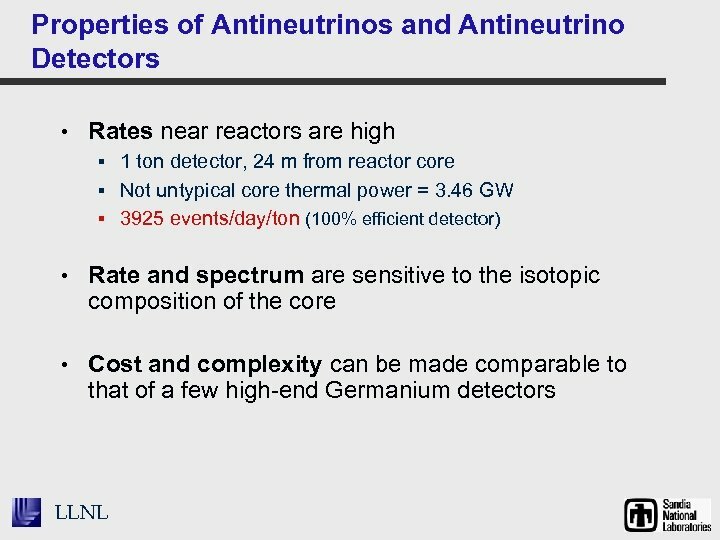 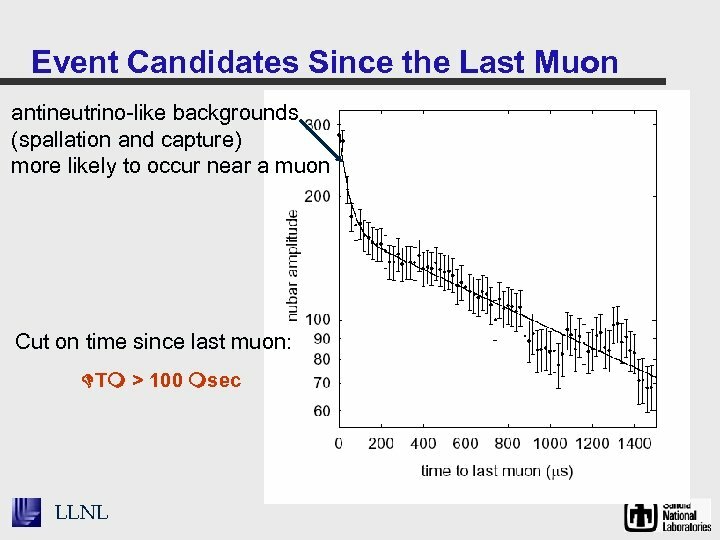 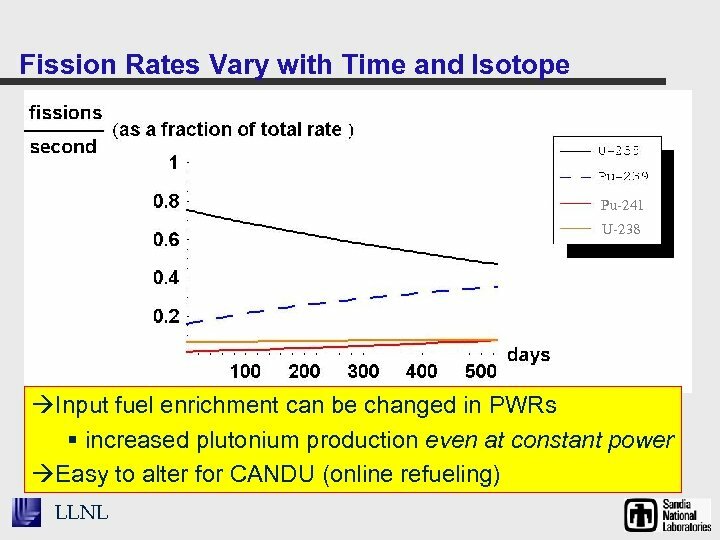 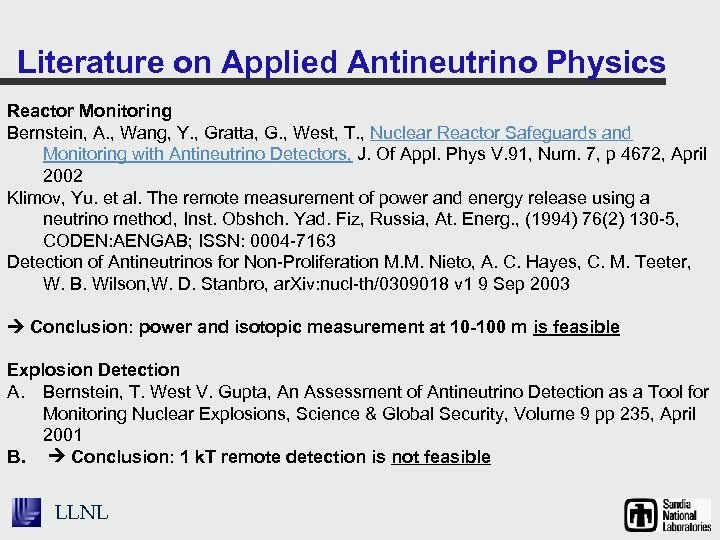 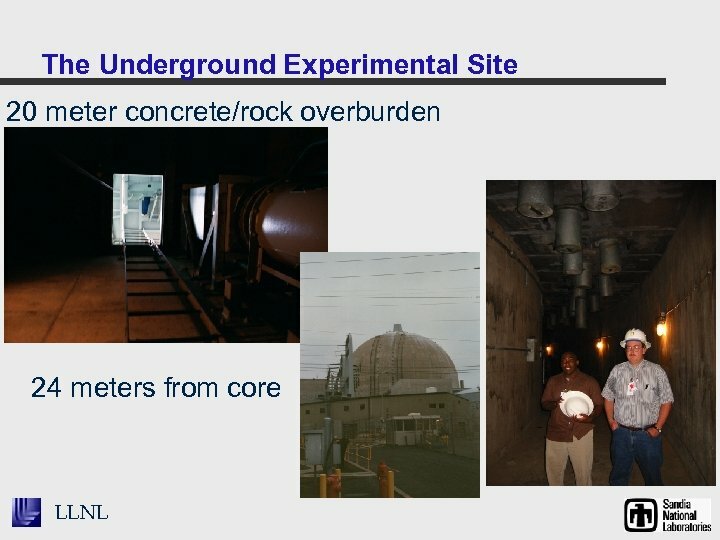 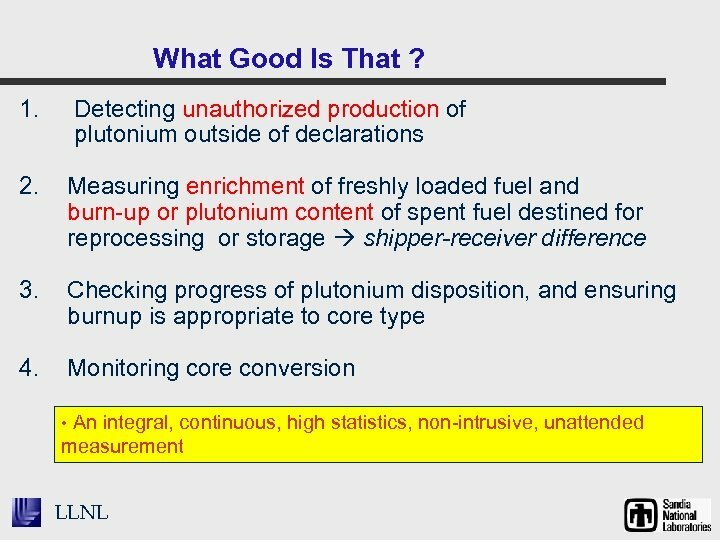 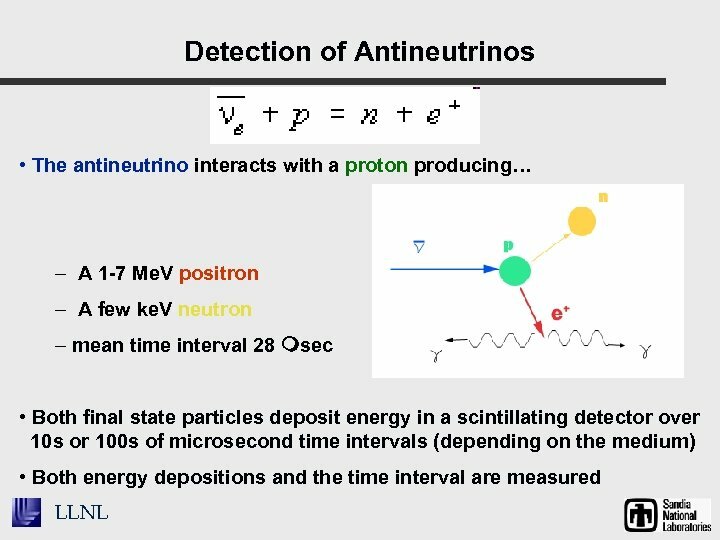 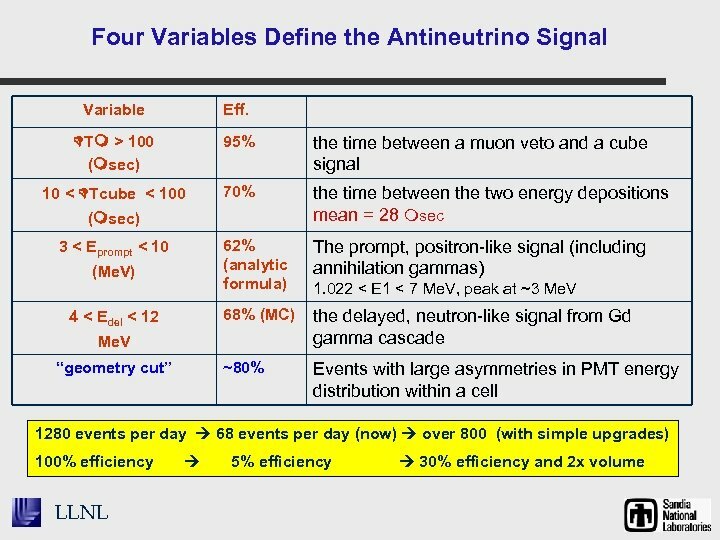 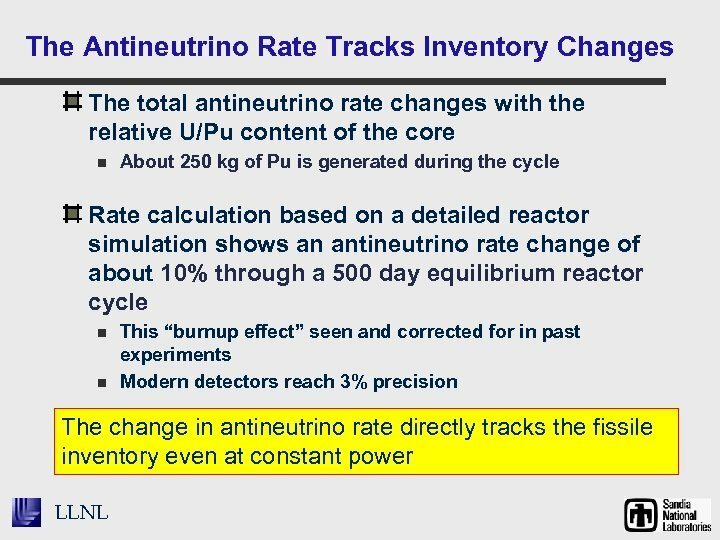 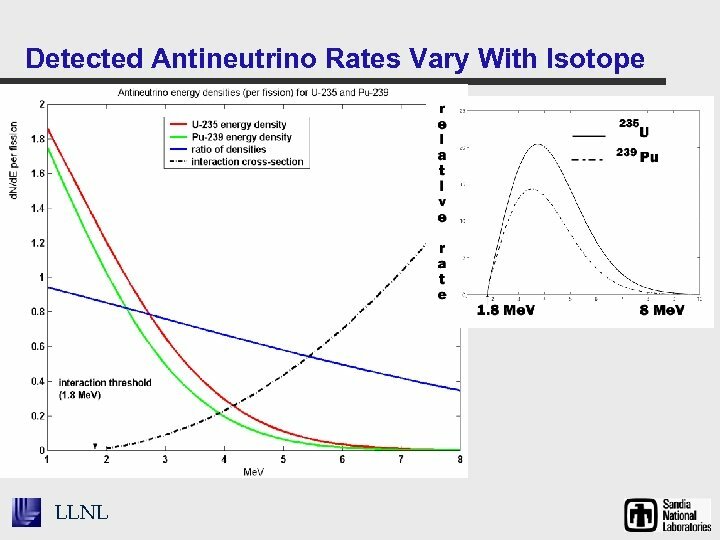 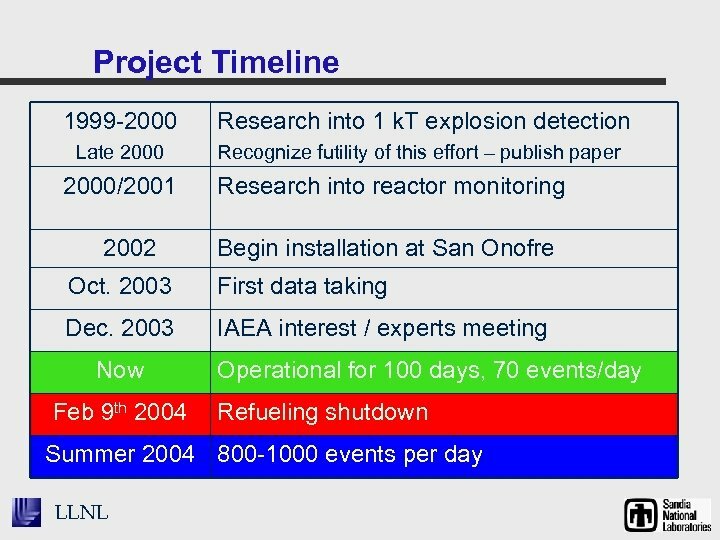 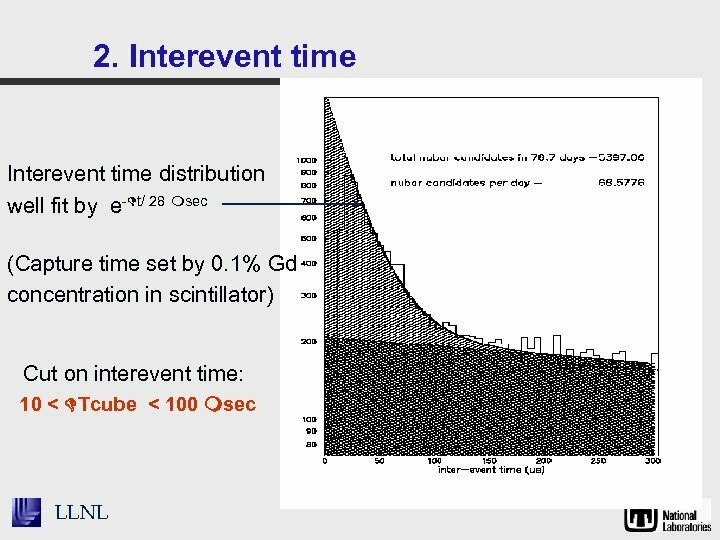 Safeguards and Cooperative Monitoring of Reactors With Antineutrino Detectors Lawrence Livermore National Laboratory Adam Bernstein, (P. I. ) 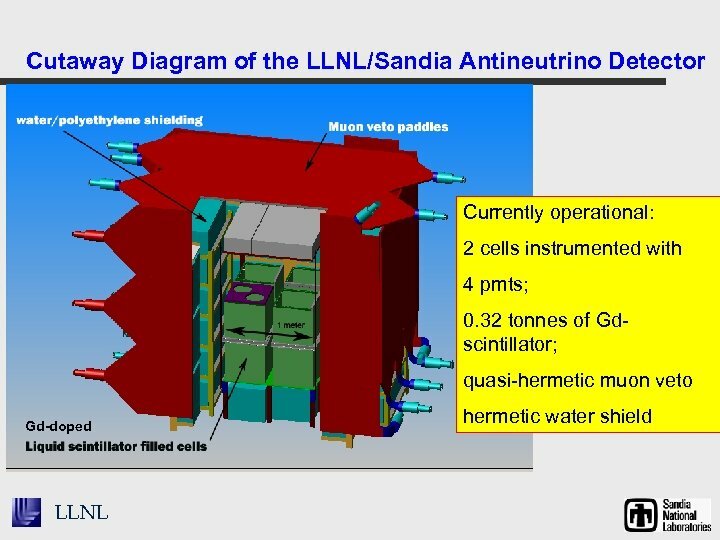 Jan Batteux Dennis Carr Celeste Winant Chris Hagmann Norm Madden Sandia National Laboratories California John Estrada (P. I. ) 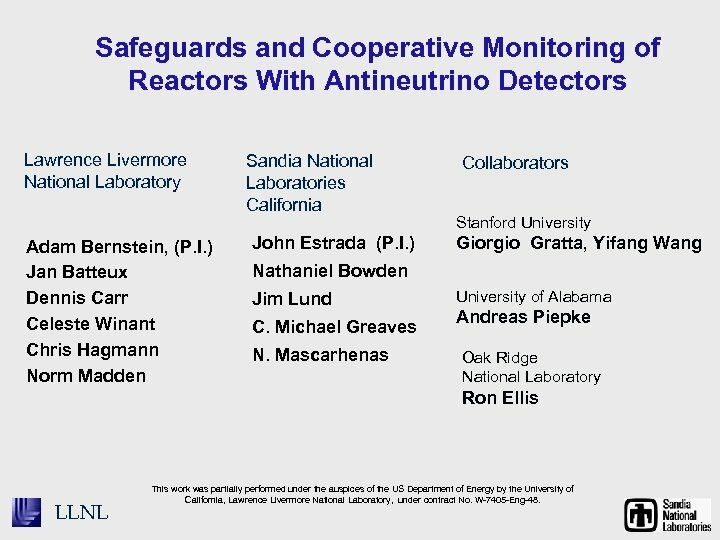 Collaborators Stanford University Giorgio Gratta, Yifang Wang Nathaniel Bowden Jim Lund C. Michael Greaves N. Mascarhenas University of Alabama Andreas Piepke Oak Ridge National Laboratory Ron Ellis LLNL This work was partially performed under the auspices of the US Department of Energy by the University of California, Lawrence Livermore National Laboratory, under contract No. 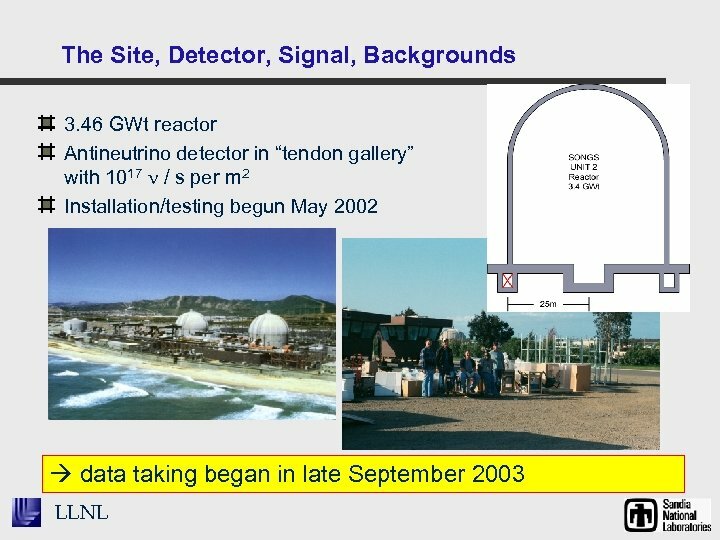 W-7405 -Eng-48.